I just installed fresh linux on virtual machine. 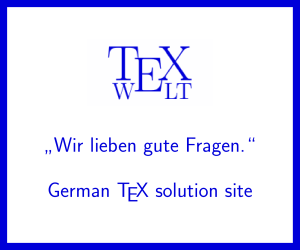 Installed new texlive 2014. Tried one of my test files and it failed. Same file works ok on texlive 2013 (different virtual machine, so no interactions between installation). This file fails to build with tex4ht only. Builds ok with pdflatex. I would have expected it to work out of the box, since tex4ht is part of texlive. The same command runs with no problem and no errors and HTML is generated with image on it ok.
Has something changed with tex4ht and the pgfsys-tex4ht.def in texlive 2014? This question still doesn't have an answer, although it was answered in comments and in the question itself. I will post the answer here, because duplicate question was posted today and it can't be closed as duplicate as long as this question doesn't have accepted or upvoted answer. this will insert the newline character. Not the answer you're looking for? Browse other questions tagged tex4ht pgfmath or ask your own question. Work around for bug in pgf when used with htlatex?